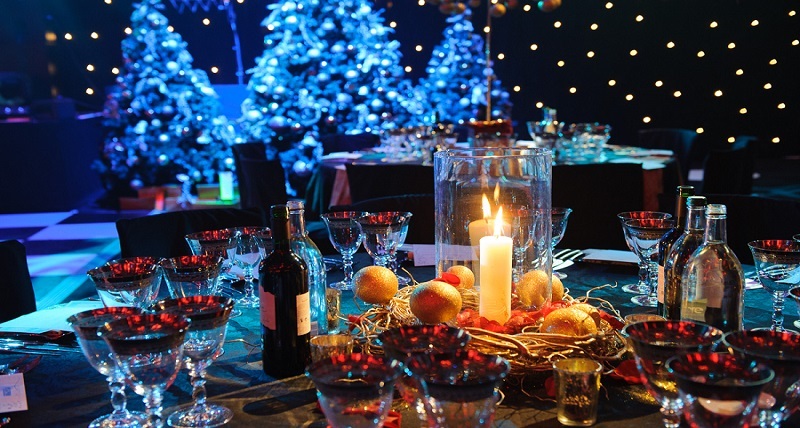 Christmas Party Rentals | TennesseeEventSpecialist.com NashvilleTN. Do you want to organize an awesome Christmas party for your employees or customers and don't know where to start? Your staffs or clients are no doubt expecting a good Christmas treat, and you must make that happen. We bet you are also anticipating having good times with your employees at the party. You should be. But wait.... you need Christmas party planning tips to make sure that your guests enjoy every moment. Christmas is here once again. Offices and houses are filled with Christmas cheer; you can almost hear Christmas carols everywhere you go. Talking of Christmas, there is nothing that keeps people busy this season like Christmas parties. So, how do you make your office Christmas party a success? Where do you start? 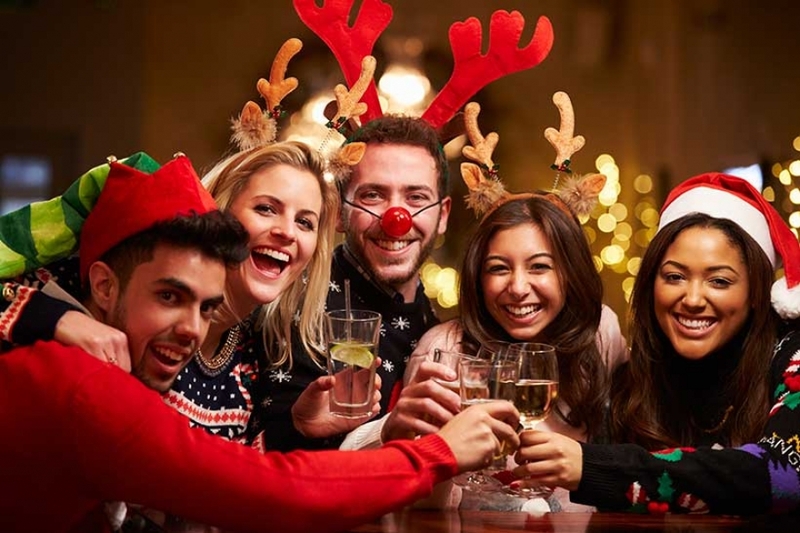 This article will provide company holiday party planning tips that will get your employees in the mood of Christmas season celebrations. It will be hard to plan an office Christmas party if you don't have a rough estimate of how much money your business can set aside for the event. Once you have developed your budget, making decisions about the venue and other activities will be easy. December is a busy month, and therefore you should set your corporate Christmas date early enough. Remember that your employees are not only assisting in the office Christmas party but also attending to their kid's play, visiting their families, buying presents among other things. Plan at least one month in advance and alert your guests. Send a "Save the date" message to all your guests early enough so that they will be in attendance. But, you are at liberty to choose any day that you feel appropriate. The most famous days are Fridays and Thursdays, but from my experience, Saturday is the best. A Saturday Christmas event will be a good bet since most of your staff will come when they are fresh and rest on Sunday as well. This means that on Monday they will show up when they are rejuvenated and productive. If you want your party to be fun, then try to introduce a unique theme than what employees had last year. You need to give your party a serious lift by trying a new cocktail, introducing a new contest, and tasty foods. You can even watch an office Christmas party cast to get some insights into the new themes to introduce to your party. If you have no idea about your Christmas party theme, you can browse online and find the themes that will suit your needs. Your Christmas party event planning would not be complete without food, edible and delicious food for that matter. You want to make sure that your guests enjoy food both in quality and quantity. You can decide to go the conventional way and hire an outside caterer or use a restaurant menu. This will relieve you the pressure of coming up with your menu and hence save time. If you have many guests, you could consider hiring a food truck. Your guests no doubt want to dance to their favorite tunes during the event. If you had included this in your budget, then go ahead and hire a band, Jazz trio or a DJ to set the pace for your guests, Remember that Christmas only comes once in a year, spoil yourself as you have never before. You will be surprised to learn about your Co-workers musical talents. There is a lot of work that goes to organizing a great company Christmas party, and you may not be prepared for it. You want to plan a Christmas party that all your colleagues will enjoy and thank you later. Because of the pressure and time constraints that come with corporate Christmas party event planning, you may not succeed alone. Event planners know almost all the local vendors. This makes it easier for them to get equipment and other party items that you need for your Christmas party. This saves you the time you could have spent researching about the best one and bargaining. As we have stated before, planning a corporate party involves a lot of pressure from peers and bosses. That's why you need to hire a corporate event planner to do it perfectly to the satisfaction of your bosses or colleagues. The objective of any party is to entertain guest and create memorable impressions that will linger in their mind for some time. You don't want to be found micromanaging DJ's or caterers during the Christmas party event. Let the event planners do the job. Sit back and enjoy the party. There are several you benefits can enjoy when you hire a corporate event planner for your Christmas party event planning as discussed above. But finding the right event planner can be a daunting task because there many planners out there who claim to offer quality services. Don't fret. We can help you plan an awesome Christmas party that your customers or employees will always remember. We have been voted as the best company holiday party planning company in Nashville, Tennessee for many years now. If you want to hire a reputable event company to help you with your Christmas party event planning, then don't hesitate to contact us for free consultation today.